Development and implementation of novel methods for publication, visualisation and dissemination of the constantly growing biodiversity and genomic bioinformatic data are the main objective of the first PhD Project Plan available from the open-access Research Ideas and Outcomes journal, a journal created to publish the outputs of the whole research cycle. Founded on the principles of open science, the project addresses digitally born scholarly papers and digitised data, aiming to make them more accessible and citable, and the results more reproducible. The gradual realisation of the project, inspired by the Open Biodiversity Knowledge Management System, begins with the publishing of data in semantically enriched publications, and is completed when this data is properly linked to the Web of data, also known as the Semantic Web, ensuring its re-usability and citability. 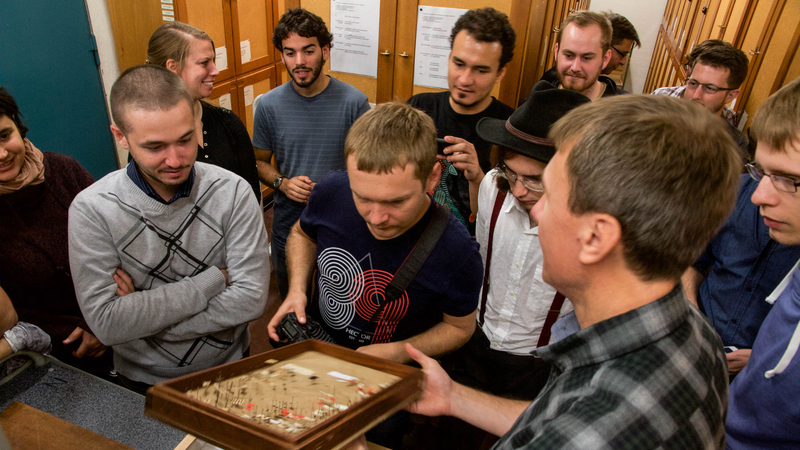 PhD student Viktor Senderov and advisor Prof. Lyubomir Penev, both affiliated with Pensoft Publishers and the Bulgarian Academy of Sciences, believe that this is the way the entire scientific data life-cycle should opera. A fundamental part of the project is the so-called Enhanced Publication (EP), which unlike a conventional academic paper enables the user to easily access the data contained within a publication, while providing various dynamic features. For instance, there are interlinked external resources or tools that gather information on certain objects or data elements in real time. Most importantly, an EP is an object-based artifact that is highly interactive and machine-readable. The project’s idea is that all of the featured objects should be exportable and citable. The authors of the project plan give examples with the biodiversity-themed journals ZooKeys, PhytoKeys, and the Biodiversity Data Journal, which have already adopted some of the features of an EP. The plan also includes development of visualisations of genomic and other biodiversity-related data. This is planned to be executed within the BIG4 consortium, where Viktor Senderov is a trainee. Both data from BIG4’s expeditions and from museum collections are to be utilised for the purposes of the project. The work has been supported by the ITN Horizon 2020 project BIG4 (Biosystematics, informatics and genomics of the big 4 insect groups: training tomorrow’s researchers and entrepreneurs), under Marie Sklodovska-Curie grant agreement No. 542241.